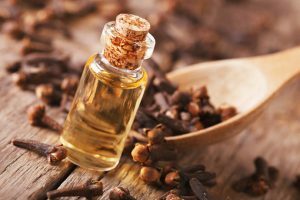 Is clove oil effective for toothache? Eugenol is an active substance used in dentistry since the 19th century. 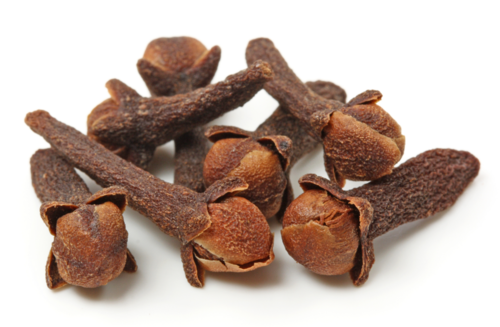 Not everyone knows that the natural source of eugenol is cloves, traditionally used as a home remedy for toothache. We will look for solid evidence of the effectiveness of clove oil in the fight against dental problems. We will also identify the most common causes of toothache and how to prevent it. Cloves are a popular spice, originating in Asia. No wonder that traditional Indian and Chinese medicine quickly recognized the potential of clove oil in relieving toothache. However, it was in the West that eugenol and magnesium oxide were combined for the first time, creating an excellent substance used for dental fillings. Over time, magnesium oxide was replaced with zinc oxide, creating the so-called ZOE, a material that is used up to this day as a dental filling. Today, the use of clove oil in dentistry is much wider – this substance is used for root canal treatment as well as for periodontal disease therapy. Eugenol has strong anti-inflammatory and antibacterial properties. It is also a mild anesthetic – it has the effect of local anesthesia. It is easy to buy at drug stores and health food stores as well as on the internet. It has a very intense flavor and aroma. To soothe the toothache, simply apply the oil on the swab and wipe the aching place. Remember that you will achieve a similar effect by chewing 2-4 pieces of whole cloves. Clove oil has been used in Asia for gums for ages. This therapy has proven itself in practice and there is also scientific evidence for it. We know that eugenol is effective against several types of bacteria found in the mouth. Drugs containing eugenol are used quite commonly in dentistry. Thanks to the anesthetic properties of clove oil, it is possible to reduce pain during dental procedures. Enough is enough. – this principle also applies to the use of eugenol. As a strong antibacterial agent, eugenol can affect the gums, mucous membranes of the mouth and also penetrate into the pulp of damaged teeth. Remember that clove oil is an extract – a concentrated form of a naturally occurring substance in cloves. Therefore, it is worth checking the body’s reaction to eugenol, chewing 2 cloves for several minutes. Do not forget that eugenol does not cure the cause of toothache. If a toothache lasts longer than 1 or 2 days, we should arrange an appointment in the dental office as soon as possible. So far, oral hygiene remains the best way to avoid toothache.